The schemes are part of TfL’s Future Streets Incubator Fund which has been created to encourage creative and more effective uses of the city’s limited road space. The fund is designed to trigger innovation that will lead to long-term improvements across London by addressing congestion, overcrowding, air quality and noise pollution. 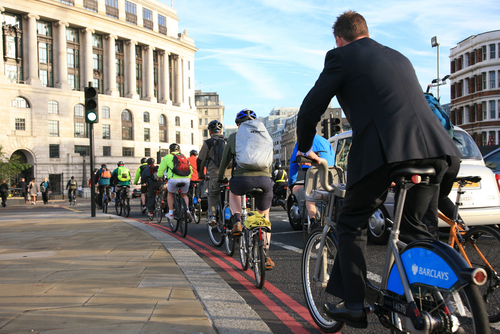 Earlier this month, TfL published stats which suggest that the number of cyclists in central London during rush hour will soon overtake the number of car drivers. The latest projects to receive TfL funding include an intelligent street to generate energy and improve air quality near Oxford Street; an innovative boardwalk to improve a traffic-dominated rat-run in Southwark; a noise-absorbing system to improve an underpass of the A12; and a novel delivery service to reduce vehicles on the Capital’s roads. 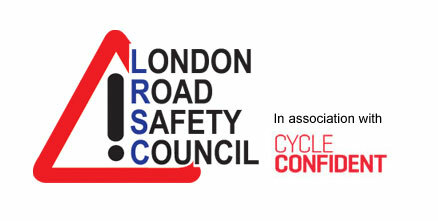 Isabel Dedring, deputy mayor for transport, said: “Given the growing pressures on our road network, we need to be ever more inventive in how we use our limited road space. Richard De Cani, TfL’s managing director of planning, said: “The fabulously creative and innovative ideas we are funding as part of the Incubator Fund capture the spirit of turning London’s streets into places for all to enjoy and work to deliver the vision of the Mayor’s Roads Task Force. Creating an ‘Intelligent Street’ in the West End; Bird Street – a traffic-free space off Oxford Street – will be transformed with a range of cutting-edge technologies designed to generate energy from the sun and pavement movement, and potentially improve air quality. Using a flexible boardwalk to transform Lavington Street in Southwark into a pedestrian boulevard; an innovative new boardwalk system will be used to widen the path as one-way traffic is trialled on the traffic-dominated rat run. Creating an innovative noise-absorbing barrier to protect residents near the A12 Blackwall Tunnel; a new noise-absorption material will be trialled at the A12 underpass between Empson Street and Gillender Street to create a more attractive barrier that incorporates a green wall with integrated watering system. Consolidation of deliveries to businesses within Holborn, Bloomsbury and St Giles; a central platform for ordering everyday items like milk and newspapers will allow consolidated deliveries to be made using electric vehicles or cargo bikes to up to 320 local businesses.